Staircase parts from Richard Burbidge Classic White Oak range for producing stunning staircases for larger hallways. Here is a selection of newel post bases for stair and landing balustrade. 90mm x 90mm newel bases come in a selection of lengths, to suit the dimensions of a staircase to suit almost any property. 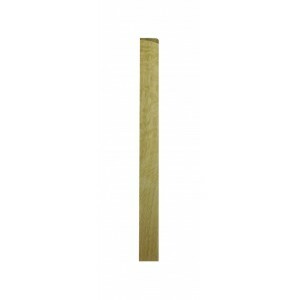 43mm x 90mm half newel bases complete a newel post that joins a handrail to a wall.